Explore the selection of stylish and dynamic Toyota Camry sedans available now at Findlay Toyota in Henderson. Alloy Wheels, Back-Up Camera, Onboard Communications System, iPod/MP3 Input. SUPER WHITE exterior and BLACK interior, LE trim. EPA 39 MPG Hwy/28 MPG City! Warranty 5 yrs/60k Miles - Drivetrain Warranty; READ MORE!======KEY FEATURES INCLUDE: Back-Up Camera, iPod/MP3 Input, Onboard Communications System, Aluminum Wheels MP3 Player, Remote Trunk Release, Keyless Entry, Steering Wheel Controls, Child Safety Locks. Toyota LE with SUPER WHITE exterior and BLACK interior features a 4 Cylinder Engine with 203 HP at 6600 RPM*. ======EXPERTS RAVE: Great Gas Mileage: 39 MPG Hwy. Horsepower calculations based on trim engine configuration. Fuel economy calculations based on original manufacturer data for trim engine configuration. Please confirm the accuracy of the included equipment by calling us prior to purchase. FUEL EFFICIENT 39 MPG Hwy/28 MPG City! LE trim. Alloy Wheels, Back-Up Camera, Telematics, WiFi Hotspot, Auxiliary Audio Input. Warranty 5 yrs/60k Miles - Drivetrain Warranty; CLICK ME!======KEY FEATURES INCLUDE: Back-Up Camera, Auxiliary Audio Input, Telematics, Aluminum Wheels, WiFi Hotspot. MP3 Player, Keyless Entry, Remote Trunk Release, Child Safety Locks, Steering Wheel Audio Controls. ======EXPERTS REPORT: Edmunds.com explains ''On the highway, the Camry is comfortable and compliant. The Camry's big, comfortable seats, smooth ride and powerful climate control mean a pleasant experience for passengers of most sizes.''. Great Gas Mileage: 39 MPG Hwy. Fuel economy calculations based on original manufacturer data for trim engine configuration. Please confirm the accuracy of the included equipment by calling us prior to purchase. WiFi Hotspot, CARPET MAT PACKAGE, Aluminum Wheels, Back-Up Camera, Onboard Communications System, iPod/MP3 Input. FUEL EFFICIENT 39 MPG Hwy/28 MPG City! LE trim, CELESTIAL SILVER METALLIC exterior and ASH interior. READ MORE!======KEY FEATURES INCLUDE: Back-Up Camera, iPod/MP3 Input, Onboard Communications System, Aluminum Wheels, WiFi Hotspot MP3 Player, Remote Trunk Release, Keyless Entry, Steering Wheel Controls, Child Safety Locks. ======OPTION PACKAGES: CARPET MAT PACKAGE carpet floor mats and carpet trunk mat. Toyota LE with CELESTIAL SILVER METALLIC exterior and ASH interior features a 4 Cylinder Engine with 203 HP at 6600 RPM*. ======VEHICLE REVIEWS: Great Gas Mileage: 39 MPG Hwy. Horsepower calculations based on trim engine configuration. Fuel economy calculations based on original manufacturer data for trim engine configuration. Please confirm the accuracy of the included equipment by calling us prior to purchase. CELESTIAL SILVER METALLIC exterior and BLACK interior, LE trim. FUEL EFFICIENT 39 MPG Hwy/28 MPG City! Smart Device Integration, PROTECTION PACKAGE (Q2), Aluminum Wheels, Back-Up Camera, Onboard Communications System. AND MORE!======KEY FEATURES INCLUDE: Back-Up Camera, iPod/MP3 Input, Onboard Communications System, Aluminum Wheels, Smart Device Integration MP3 Player, Remote Trunk Release, Keyless Entry, Child Safety Locks, Steering Wheel Controls. ======OPTION PACKAGES: PROTECTION PACKAGE (Q2) Door Sill Protectors, Rear Bumper Applique (Clear). Toyota LE with CELESTIAL SILVER METALLIC exterior and BLACK interior features a 4 Cylinder Engine with 203 HP at 6600 RPM*. ======EXPERTS REPORT: Great Gas Mileage: 39 MPG Hwy. Horsepower calculations based on trim engine configuration. Fuel economy calculations based on original manufacturer data for trim engine configuration. Please confirm the accuracy of the included equipment by calling us prior to purchase. CELESTIAL SILVER METALLIC exterior and ASH interior, LE trim. EPA 39 MPG Hwy/28 MPG City! Smart Device Integration, PROTECTION PACKAGE (Q2), Alloy Wheels, Back-Up Camera, Onboard Communications System, iPod/MP3 Input. AND MORE!======KEY FEATURES INCLUDE: Back-Up Camera, iPod/MP3 Input, Onboard Communications System, Aluminum Wheels, Smart Device Integration. MP3 Player, Remote Trunk Release, Keyless Entry, Child Safety Locks, Steering Wheel Controls. ======OPTION PACKAGES: PROTECTION PACKAGE (Q2) Door Sill Protectors, Rear Bumper Applique (Clear). Toyota LE with CELESTIAL SILVER METALLIC exterior and ASH interior features a 4 Cylinder Engine with 203 HP at 6600 RPM*. ======VEHICLE REVIEWS: Great Gas Mileage: 39 MPG Hwy. Horsepower calculations based on trim engine configuration. Fuel economy calculations based on original manufacturer data for trim engine configuration. Please confirm the accuracy of the included equipment by calling us prior to purchase. FUEL EFFICIENT 39 MPG Hwy/28 MPG City! Smart Device Integration, PROTECTION PACKAGE (Q2), Alloy Wheels, Back-Up Camera, Onboard Communications System, iPod/MP3 Input. LE trim, CELESTIAL SILVER METALLIC exterior and BLACK interior AND MORE!======KEY FEATURES INCLUDE: Back-Up Camera, iPod/MP3 Input, Onboard Communications System, Aluminum Wheels, Smart Device Integration. MP3 Player, Remote Trunk Release, Keyless Entry, Child Safety Locks, Steering Wheel Controls. ======OPTION PACKAGES: PROTECTION PACKAGE (Q2) Door Sill Protectors, Rear Bumper Applique (Clear). Toyota LE with CELESTIAL SILVER METALLIC exterior and BLACK interior features a 4 Cylinder Engine with 203 HP at 6600 RPM*. ======VEHICLE REVIEWS: Great Gas Mileage: 39 MPG Hwy. Horsepower calculations based on trim engine configuration. Fuel economy calculations based on original manufacturer data for trim engine configuration. Please confirm the accuracy of the included equipment by calling us prior to purchase. CELESTIAL SILVER METALLIC exterior and BLACK interior, LE trim. Smart Device Integration, PROTECTION PACKAGE (Q2), Aluminum Wheels, Back-Up Camera, Onboard Communications System. FUEL EFFICIENT 39 MPG Hwy/28 MPG City! SEE MORE!======KEY FEATURES INCLUDE: Back-Up Camera, iPod/MP3 Input, Onboard Communications System, Aluminum Wheels, Smart Device Integration. MP3 Player, Remote Trunk Release, Keyless Entry, Child Safety Locks, Steering Wheel Controls. ======OPTION PACKAGES: PROTECTION PACKAGE (Q2) Door Sill Protectors, Rear Bumper Applique (Clear). Toyota LE with CELESTIAL SILVER METALLIC exterior and BLACK interior features a 4 Cylinder Engine with 203 HP at 6600 RPM*. ======EXPERTS ARE SAYING: Great Gas Mileage: 39 MPG Hwy. Horsepower calculations based on trim engine configuration. Fuel economy calculations based on original manufacturer data for trim engine configuration. Please confirm the accuracy of the included equipment by calling us prior to purchase. EPA 39 MPG Hwy/28 MPG City! MIDNIGHT BLACK METALLIC exterior and ASH interior, LE trim. Onboard Communications System, Smart Device Integration, Aluminum Wheels, PROTECTION PACKAGE (Q2), iPod/MP3 Input, Back-Up Camera. CLICK NOW!======KEY FEATURES INCLUDE: Back-Up Camera, iPod/MP3 Input, Onboard Communications System, Aluminum Wheels, Smart Device Integration MP3 Player, Remote Trunk Release, Keyless Entry, Child Safety Locks, Steering Wheel Controls. ======OPTION PACKAGES: PROTECTION PACKAGE (Q2) Door Sill Protectors, Rear Bumper Applique (Clear). Toyota LE with MIDNIGHT BLACK METALLIC exterior and ASH interior features a 4 Cylinder Engine with 203 HP at 6600 RPM*. ======VEHICLE REVIEWS: Great Gas Mileage: 39 MPG Hwy. Horsepower calculations based on trim engine configuration. Fuel economy calculations based on original manufacturer data for trim engine configuration. Please confirm the accuracy of the included equipment by calling us prior to purchase. LE trim. FUEL EFFICIENT 39 MPG Hwy/28 MPG City! Aluminum Wheels, iPod/MP3 Input, Back-Up Camera, Onboard Communications System, Smart Device Integration. Warranty 5 yrs/60k Miles - Drivetrain Warranty; CLICK NOW!======KEY FEATURES INCLUDE: Back-Up Camera, iPod/MP3 Input, Onboard Communications System, Aluminum Wheels, Smart Device Integration MP3 Player, Remote Trunk Release, Keyless Entry, Child Safety Locks, Steering Wheel Controls. ======VEHICLE REVIEWS: Edmunds.com explains ''On the highway, the Camry is comfortable and compliant. The Camry's big, comfortable seats, smooth ride and powerful climate control mean a pleasant experience for passengers of most sizes.''. Great Gas Mileage: 39 MPG Hwy. Fuel economy calculations based on original manufacturer data for trim engine configuration. Please confirm the accuracy of the included equipment by calling us prior to purchase. Back-Up Camera, Alloy Wheels, Onboard Communications System, iPod/MP3 Input, Smart Device Integration. FUEL EFFICIENT 39 MPG Hwy/28 MPG City! LE trim. Warranty 5 yrs/60k Miles - Drivetrain Warranty; SEE MORE!======KEY FEATURES INCLUDE: Back-Up Camera, iPod/MP3 Input, Onboard Communications System, Aluminum Wheels, Smart Device Integration. MP3 Player, Remote Trunk Release, Keyless Entry, Child Safety Locks, Steering Wheel Controls. ======EXPERTS CONCLUDE: Edmunds.com explains ''On the highway, the Camry is comfortable and compliant. The Camry's big, comfortable seats, smooth ride and powerful climate control mean a pleasant experience for passengers of most sizes.''. Great Gas Mileage: 39 MPG Hwy. Fuel economy calculations based on original manufacturer data for trim engine configuration. Please confirm the accuracy of the included equipment by calling us prior to purchase. LE trim. Aluminum Wheels, Back-Up Camera, iPod/MP3 Input, Smart Device Integration, Onboard Communications System. FUEL EFFICIENT 39 MPG Hwy/28 MPG City! Warranty 5 yrs/60k Miles - Drivetrain Warranty; CLICK ME!======KEY FEATURES INCLUDE: Back-Up Camera, iPod/MP3 Input, Onboard Communications System, Aluminum Wheels, Smart Device Integration MP3 Player, Remote Trunk Release, Keyless Entry, Child Safety Locks, Steering Wheel Controls. ======EXPERTS REPORT: ''On the highway, the Camry is comfortable and compliant. The Camry's big, comfortable seats, smooth ride and powerful climate control mean a pleasant experience for passengers of most sizes.'' -Edmunds.com. Great Gas Mileage: 39 MPG Hwy. Fuel economy calculations based on original manufacturer data for trim engine configuration. Please confirm the accuracy of the included equipment by calling us prior to purchase. LE trim. Alloy Wheels, Back-Up Camera, iPod/MP3 Input, Onboard Communications System, Smart Device Integration. FUEL EFFICIENT 39 MPG Hwy/28 MPG City! Warranty 5 yrs/60k Miles - Drivetrain Warranty; READ MORE!======KEY FEATURES INCLUDE: Back-Up Camera, iPod/MP3 Input, Onboard Communications System, Aluminum Wheels, Smart Device Integration. MP3 Player, Remote Trunk Release, Keyless Entry, Child Safety Locks, Steering Wheel Controls. ======EXPERTS REPORT: Edmunds.com explains ''On the highway, the Camry is comfortable and compliant. The Camry's big, comfortable seats, smooth ride and powerful climate control mean a pleasant experience for passengers of most sizes.''. Great Gas Mileage: 39 MPG Hwy. Fuel economy calculations based on original manufacturer data for trim engine configuration. Please confirm the accuracy of the included equipment by calling us prior to purchase. LE trim. Alloy Wheels, Back-Up Camera, Auxiliary Audio Input, WiFi Hotspot, Telematics. EPA 39 MPG Hwy/28 MPG City! Warranty 5 yrs/60k Miles - Drivetrain Warranty; READ MORE!======KEY FEATURES INCLUDE: Back-Up Camera, Auxiliary Audio Input, Telematics, Aluminum Wheels, WiFi Hotspot MP3 Player, Keyless Entry, Remote Trunk Release, Child Safety Locks, Steering Wheel Audio Controls. ======EXPERTS CONCLUDE: Edmunds.com explains ''On the highway, the Camry is comfortable and compliant. The Camry's big, comfortable seats, smooth ride and powerful climate control mean a pleasant experience for passengers of most sizes.''. Great Gas Mileage: 39 MPG Hwy. Fuel economy calculations based on original manufacturer data for trim engine configuration. Please confirm the accuracy of the included equipment by calling us prior to purchase. EPA 39 MPG Hwy/28 MPG City! LE trim. Back-Up Camera, Aluminum Wheels, iPod/MP3 Input, Smart Device Integration, Onboard Communications System. Warranty 5 yrs/60k Miles - Drivetrain Warranty; SEE MORE!======KEY FEATURES INCLUDE: Back-Up Camera, iPod/MP3 Input, Onboard Communications System, Aluminum Wheels, Smart Device Integration MP3 Player, Remote Trunk Release, Keyless Entry, Child Safety Locks, Steering Wheel Controls. ======EXPERTS ARE SAYING: Edmunds.com explains ''On the highway, the Camry is comfortable and compliant. The Camry's big, comfortable seats, smooth ride and powerful climate control mean a pleasant experience for passengers of most sizes.''. Great Gas Mileage: 39 MPG Hwy. Fuel economy calculations based on original manufacturer data for trim engine configuration. Please confirm the accuracy of the included equipment by calling us prior to purchase. MIDNIGHT BLACK METALLIC exterior and ASH interior, LE trim. FUEL EFFICIENT 39 MPG Hwy/28 MPG City! Smart Device Integration, PROTECTION PACKAGE (Q2), Aluminum Wheels, Back-Up Camera, Onboard Communications System, iPod/MP3 Input AND MORE!======KEY FEATURES INCLUDE: Back-Up Camera, iPod/MP3 Input, Onboard Communications System, Aluminum Wheels, Smart Device Integration. MP3 Player, Remote Trunk Release, Keyless Entry, Child Safety Locks, Steering Wheel Controls. ======OPTION PACKAGES: PROTECTION PACKAGE (Q2) Door Sill Protectors, Rear Bumper Applique (Clear). Toyota LE with MIDNIGHT BLACK METALLIC exterior and ASH interior features a 4 Cylinder Engine with 203 HP at 6600 RPM*. ======EXPERTS ARE SAYING: Great Gas Mileage: 39 MPG Hwy. Horsepower calculations based on trim engine configuration. Fuel economy calculations based on original manufacturer data for trim engine configuration. Please confirm the accuracy of the included equipment by calling us prior to purchase. Smart Device Integration, PROTECTION PACKAGE (Q2), Alloy Wheels, Back-Up Camera, Onboard Communications System, iPod/MP3 Input. EPA 39 MPG Hwy/28 MPG City! BLUE STREAK METALLIC exterior and MACADAMIA interior, LE trim. CLICK ME!======KEY FEATURES INCLUDE: Back-Up Camera, iPod/MP3 Input, Onboard Communications System, Aluminum Wheels, Smart Device Integration. MP3 Player, Remote Trunk Release, Keyless Entry, Child Safety Locks, Steering Wheel Controls. ======OPTION PACKAGES: PROTECTION PACKAGE (Q2) Door Sill Protectors, Rear Bumper Applique (Clear). Toyota LE with BLUE STREAK METALLIC exterior and MACADAMIA interior features a 4 Cylinder Engine with 203 HP at 6600 RPM*. ======EXPERTS REPORT: Great Gas Mileage: 39 MPG Hwy. Horsepower calculations based on trim engine configuration. Fuel economy calculations based on original manufacturer data for trim engine configuration. Please confirm the accuracy of the included equipment by calling us prior to purchase. LE trim, GALACTIC AQUA MICA exterior and BLACK interior. Smart Device Integration, PROTECTION PACKAGE (Q2), Alloy Wheels, Back-Up Camera, Onboard Communications System, iPod/MP3 Input. FUEL EFFICIENT 39 MPG Hwy/28 MPG City! SEE MORE!======KEY FEATURES INCLUDE: Back-Up Camera, iPod/MP3 Input, Onboard Communications System, Aluminum Wheels, Smart Device Integration. MP3 Player, Remote Trunk Release, Keyless Entry, Child Safety Locks, Steering Wheel Controls. ======OPTION PACKAGES: PROTECTION PACKAGE (Q2) Door Sill Protectors, Rear Bumper Applique (Clear). Toyota LE with GALACTIC AQUA MICA exterior and BLACK interior features a 4 Cylinder Engine with 203 HP at 6600 RPM*. ======EXPERTS CONCLUDE: Great Gas Mileage: 39 MPG Hwy. Horsepower calculations based on trim engine configuration. Fuel economy calculations based on original manufacturer data for trim engine configuration. Please confirm the accuracy of the included equipment by calling us prior to purchase. CELESTIAL SILVER METALLIC exterior and BLACK interior, LE trim. FUEL EFFICIENT 39 MPG Hwy/28 MPG City! Smart Device Integration, PROTECTION PACKAGE (Q2), Alloy Wheels, Back-Up Camera, Onboard Communications System, iPod/MP3 Input CLICK NOW!======KEY FEATURES INCLUDE: Back-Up Camera, iPod/MP3 Input, Onboard Communications System, Aluminum Wheels, Smart Device Integration. MP3 Player, Remote Trunk Release, Keyless Entry, Child Safety Locks, Steering Wheel Controls. ======OPTION PACKAGES: PROTECTION PACKAGE (Q2) Door Sill Protectors, Rear Bumper Applique (Clear). Toyota LE with CELESTIAL SILVER METALLIC exterior and BLACK interior features a 4 Cylinder Engine with 203 HP at 6600 RPM*. ======EXPERTS RAVE: Great Gas Mileage: 39 MPG Hwy. Horsepower calculations based on trim engine configuration. Fuel economy calculations based on original manufacturer data for trim engine configuration. Please confirm the accuracy of the included equipment by calling us prior to purchase. 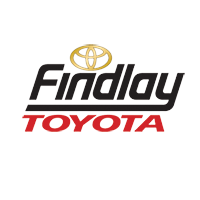 Why Choose Findlay Toyota for Your New Toyota Camry? Information: We help you research rebates and incentives, explore new vehicle specials, and even compare Toyota vehicles against the competition so you can decide which vehicle best meets your needs. Support: Our sales and service professionals are here to answer any questions you might have, assist you with parts and accessories orders, and can even take care of your vehicle maintenance when the time comes, all without the unnecessary pressure you’ll find at other dealerships. You don’t have to gamble on the options in Las Vegas when you’re looking for a good deal on a new Toyota Camry – It’s right here at Findlay Toyota. Contact us if you have any questions, and stop by our showroom at 7733 Eastgate Rd Henderson, NV 89011 to learn more about all that the new Camry has to offer you today!